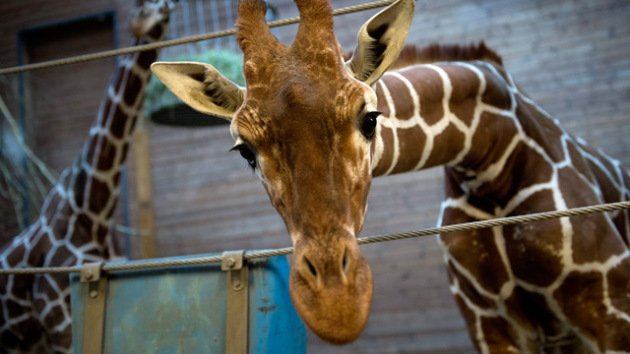 I debated on writing anything about Marius the giraffe and the Copenhagen Zoo incident. It happened a week before I even started this blog, and it seemed at the time that everyone had something to say about the subject. And yet, my Facebook feed continues to have blips of Marius and different opinions on what happened. To be clear, I stand in the camp of people who are horrified by what happened. But I am not condemning all of Denmark, nor do I agree with people sending zoo officials death threats. I am not an animal rights activist. I am not a vegetarian. I grew up in the Midwest so I am familiar with farms and hunting, even though I did not grow up on a farm and I will never hunt anything (though many people in my family hunt deer during the official season). While most of my friends are completely outraged, a few are asking questions like “How is it different from killing a cow? Would you still be upset if they just killed a cow?” I understand why people may think this, in terms of how I think they connected the dots, but it is still a weak connection filled with static. To me, this is along the lines of the phrase, “Guns don’t kill people. People kill people.” I agree with the phrase, but I think people who say this miss the point. People kill people, but guns make it a whole heck of a lot easier. I think the saddest thing about this for me is that it was senseless and unnecessary. Copenhagen is trying to stress it was for the good of the species, but I do not accept that. Consider all of the options they had, options they were well aware of before killing Marius. Their argument for killing him centered around one thing, “He is a danger to our breeding program.” All right, then castrate him or be sure to use contraceptives. There is debate about the potential side effects this can have on an animal over a longer period of time, but that is the point: longer period of time. It may have affected him severely after a few years, where the only humane thing to do would be to put him down, but he also may have experienced zero side effects. Either way, he would have had a chance and that time. Forget the online petitions to save him, real zoos and wildlife parks reached out and attempted to purchase him from the Copenhagen Zoo, including Yorkshire Wildlife Park, in the United Kingdom. 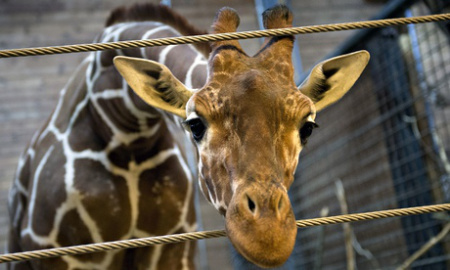 In some of these cases, the zoos were not a part of the same breeding program that Copenhagen Zoo participates in (alternative one) or planned on Marius being cared for and housed with other male giraffes (bachelor groups), so he would not be able to breed (alternative two – and in these cases some of the zoos, including Yorkshire, were participants in the same breeding program). While homosexuality is seen in many species of animals, it cannot possibly threaten the gene pool. Problem solved. Copenhagen Zoo had a great deal of excuses as to why each and every offer was unacceptable, but they were so flimsy, at best, that they cannot be called reasons. They were excuses. “We cannot in good conscience” cue laughter and wait a moment. The point of that statement had been that they could not send him to a park or zoo that did not participate in their breeding program because they did not know what kind of ‘standard’ of care Marius would receive. And any park or zoo that did participate in the same breeding program could not sterilize Marius and therefore could not guarantee that he would not breed. When it comes to how they killed him I cringe, but I know large mammals are typically put down that way. We’re not exactly talking about a small animal here, so while this hurts my heart, the method does not add much sting to how I feel about what happened. It baffles me that they made the killing and dissection public and I am dumbfounded that so many parents thought it was appropriate to bring their children to witness such a thing. I am childless with the exception of my fur babies (yes, my pets are a part of my family, not simply tools for my own entertainment) so I try to make it a point not to believe I know better than actual parents, but sometimes I can’t help it. Why does a six-year-old need to witness a giraffe dissection? When I have children, I do not plan to coddle or shelter them from real life, but I also do not intend to expose them to gratuitous demonstrations of the lesser reflections of people. While I disagreed (and that is putting it mildly) with the Copenhagen Zoo in what they did and their short circuited reasoning, I am grateful they fed him to the lions after the fact. In nature, he would have had the chance to escape a lion’s attack, so what the zoo did is not nature at work, but a lion eating a giraffe is nature. While it does not give his death purpose, to waste his remains after what I consider a senseless slaughter would have added an entirely new layer or anger and revulsion for me. Copenhagen Zoo’s solution of killing him despite the alternatives they were never willing to consider was not humane, but the opposite. Something that was said by a zoo official in relation to sterilizing Marius or transferring him to another zoo or facility was “that was never the plan.” Well, why not? I loved zoos as a child and I always will enjoy them. I believe that they can do wonderful things in educating people, at an early age, about the many different animal species of the world. I also believe that many zoos’ conservation efforts help protect many species that are critically endangered. That being said, euthanizing animals because of a surplus will never be justifiable in my eyes, so long as there is even a single alternative to avoid it. Euthanizing animals that are elderly and in pain or sick is one thing, but this was killing a beautiful animal because it was inconvenient to an organization’s agenda, which is something else entirely. And to be clear that is what this was. Conservation may not be clean, and it is certainly complicated, but at the same time it does not need to be bloody. This entry was posted in Animal Rights, News, Opinion and tagged "Copenhagen Zoo", Denmark, giraffe, Marius, marius the giraffe, Murder of giraffe, zoo, zoo kill, zoo murder giraffe. Bookmark the permalink.